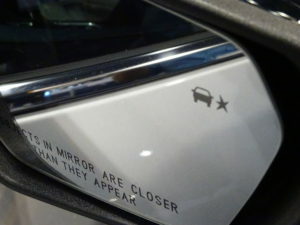 The Insurance Insurance for Highway Safety announced Wednesday that lane departure warnings and blind spot monitoring — technologies which merely alert the driver, not take control — still cut lane-change crashes by 11 percent and 14 percent, respectively. It’s another indication that collision repairers need to prepare for the impact of advanced driver assistance systems upon their business — and the additional constraints and procedures necessary to ensure these safety features work properly when the car is returned to the customer. IIHS research Vice President Jessica Cicchino examined police reports of actual crashes and the VIN numbers of the relevant vehicles (to determine through build data if the optional ADAS features were present). This allowed her to tease out the relevant lane-change crashes from all the other collisions and confirm the existence of the technology. The study only took into account warning systems — not those which can autosteer the car to keep the vehicle in the lane or avoid blind-spot harm. “Crashes considered relevant to lane departure warning included single-vehicle, head-on, and sideswipe crashes where no crash-involved vehicle was changing lanes, merging, passing, turning, or backing prior to the crash, and which occurred on roads with speed limits of 40 mph or greater that were not covered with snow or ice,” she described her methodology for the lane departure warning study. Cicchino threw out sub-40 mph collisions and winter-covered roads because the lane-warning technology isn’t always designed to work under those conditions. Shops might feel a slight decline in volume caused by the technology, but it’ll be a nibble, not the kind of bite autobraking could deliver. Of course, Cicchino noted that her data sets were small, and a deeper statistical foundation could change the results. But for now, only 6 percent of all collisions in the police report data set met Cicchino’s criteria for crashes lane departure warning could address. 11 percent of that prevented means you’re only going to lose about 0.66 percent of all your business. And only 3 percent of crashes in Cicchino’s blind-spot-monitoring data set met her threshold; 18 percent of that is 0.54 percent of all crashes. So while it’s not a business killer for a shop, large vendors tracking sales by basis points might feel more pain. Unlike autobraking — which will be effectively standard by 2022 — and rear-view cameras, standard as of the 2018 model year, the technologies at this point aren’t going to be present on every vehicle in the future. (Though some OEMs are making it pretty easy to get.) This should keep the impact upon shops down as well. Cicchino cited other research that found “evidence indicates that drivers with blind spot monitoring systems overwhelmingly keep the systems turned on,” suggesting that shops and vendors can’t hope drivers will deactivate the crash-cutting technology. In contrast, the IIHS has in the past found drivers deactivating lane-departure warnings, apparently finding them annoying or distracting. That deactivation also minimizes the potential for the technology to erode shop business. However, if OEMs determine a means of alerting drivers more acceptably, the effect of that technology on collision volume could increase — and maybe quite a lot. 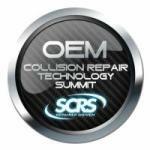 Learn more about the technology increasingly found on the U.S. vehicle fleet and what it could mean from your shop in terms of repair procedures and liability at the Society of Collision Repair Specialists’ OEM Collision Repair Technology Summit Nov. 2 during the SEMA Show in Las Vegas. Innovators in automotive technology will be on hand for “How Automotive Research is Driving Change”; “The Impact of Advanced Vehicle Systems on Routine Repair Process and Procedure”; and “The Hidden Dangers of Vehicle Technology, Improper Repair Methodology and Your Liabilities.” Space will be limited; early registration is encouraged. The sessions are part of the SCRS Repairer Driven Education Series Oct. 30-Nov. 3. Register here for the individual classes or the series pass package deal, which includes the entire week of classes, all three parts of the OEM Summit and the Nov. 2 Sky Villa afterparty. Though neither technology is applicable in as many collisions as something like autobraking or as potentially as effective as something like electronic stability control, it is still preventing crashes with statistical significance. As the IIHS concluded, the data shows property and potentially lives will truly be at stake based upon how well you fix these systems. 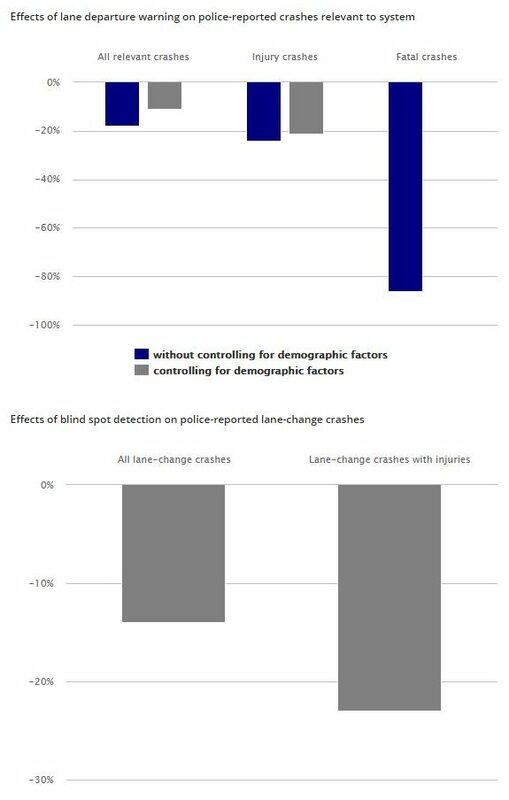 Unlike the conclusive results on reduction in gross crashes, the data on blind-spot monitoring injury reduction wasn’t statistically significant — but further research could prove it is indeed cutting injuries too. “(T)he effect for injury crashes was consistently in the expected direction for 5 of the 6 manufacturers studied,” the IIHS wrote.